This provides all the legal requirements for your company, including 6 copies of the articles, a copy of the Model Articles, completed statutory registers and share certificates. Providing just the certificate of incorporation and a copy of the articles. Note that statutory registers, which are a legal requirement are not included. 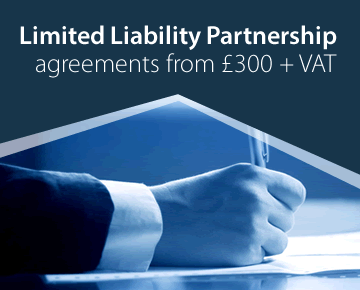 We can register any type of UK company, including limited liability partnerships (LLPs), property management companies, public companies (PLCs,) companies limited by guarantee, charitable companies, community interest companies (CICs) and community amateur sports clubs (CASCs). At Incorporation Services we have been registering companies since 1978 and provide a highly professional service for all types of company formations. We no longer stock ready-made companies because we can get a new company registered within a few hours, making off-the-shelf companies redundant. We provide a friendly, personal service, including all the company formation advice you may need, for all company law and company secretarial matters. We can advise you about your company's name (including the new rules that came in recently), the company's articles of association, directors, share capital, etc. If there are two or more people involved in the company being registered, we can advise as to appropriate terms to include in the articles and prepare the essential shareholders' agreement. We will register your new business by direct electronic link to Companies House, and provide an after-care service once your business is up and running. In other words we provide a complete and professional company formation package. The registration process requires us to send information about the company, its shareholders, directors, etc to Companies House. You need to have this information available before starting the registration process. For full details, click here. For more helpful information about company formations, see our FAQs. We charge a fair price for the level of company formation service we provide. There are some ridiculously cheap company registration prices advertised on the internet. We accept that we are not the cheapest company registration agents, but we do offer very good value for money. Buying a company registration service is not like buying a book or a CD. Wherever you buy a CD, it will be the same product. This is not true of a company registration service. You need a service from people who have the experience, expertise and integrity to deal properly with your formation, and who are happy to answer your questions and get the service right for you. Such service requires high calibre staff, who need to be reasonably paid. See further our 'Why you should use us' page, and some testimonials from long-standing professional clients. Order your company on-line for the most efficient way of sending details of your company and its directors. Companies House requires quite detailed information. To make sure you have all the information you need, click here for full details. On receipt of your order, we check the details and the availability of the name before registering the company electronically. This only takes a few minutes, but if there are any problems or queries, we can contact you and sort them out by telephone or email at an early stage. Payment can be made by credit card through through Secure Trading. If you do not want to buy your company formation through the internet, we can still attend to your registration by telephone, fax, email, mail or personal visit. Contact us for that old-fashioned personal service. Electronic company formation gives us the quickest possible means of getting your company registered at Companies House. In most cases the company can be set up within a few hours. We offer a standard service at £145 and a basic service at £59. In either case we offer the same level of personal service to your company formation. Statutory registers completed to show details of the shareholders, directors, etc., (including completed share certificates), and in the form of a company kit with slip-case. We don't just set up companies, we specialise in the full range of company law services for small to medium-sized private companies. We can attend to all your company law requirements at any time. For instance you may want to allot more shares or appoint a new director. Contact us - we will help. If you want, we can act as company secretary on a continuing basis, making sure your company complies with all Companies Act requirements. If there are two or more of you involved in the business, we strongly recommend that you consider having a shareholders' agreement. This is a contract between the parties setting out how the company is to be run and is essential to protect the individual shareholders' long term interests. If your new business is the success you hope it is going to be, not having a comprehensive contract between the parties, regulating the company's affairs for the future is, frankly, crazy. 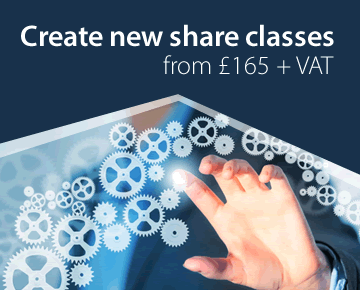 Our typical charge for a shareholders' agreement is usually between £300.00 and £600.00 plus VAT. Click here for more details. A company's name is an important asset. When you start your own business, its name has to be chosen carefully to avoid infringing the rights of established businesses and to see that the name complies with the requirements of the Companies Acts. From 1st. October 2009 there are stricter rules on company names. It may also be important to have it registered as a domain name and as a trade mark. A detailed explanation of some of the legal issues involved is available by going to the company names page on this website. The articles of association (formerly memorandum and articles) set out the company's constitution, the rules for running the company. It is important that they contain the right provisions. Our standard document, based on the new Model Articles (specimen articles provided by legislation), cover most circumstances, but we also prepare non-standard articles when these are required. If you want a detailed explanation of some of the legal issues involved is available by going to the articles of association page on this website. The statutory registers are public records. They must be completed and made available to anyone who wishes to examine them. Our standard service includes a loose-leaf company kit containing all the statutory registers (including minute pages and share certificates) in a ring binder. The registers are fully completed, making this the ideal service for a new business start up. We can supply a company seal if you wish for a small additional cost. All companies must keep statutory registers, maintain minutes of meetings and send forms and returns to Companies House. We can take over this responsibility, and free up the directors to run the business, either as an initial service or on a continuing basis. See our company law compliance page for details.